This years youth champs have seen a new set of rules and timings including a earlier deadline for applications. Whilst many applications have already been received there have been a number of late entry requests and so the organisers at Brass Bands England have decided to extend the entry deadline officially to 9th January 2019. This will allow the pre-draw to still take place on the 10th January. 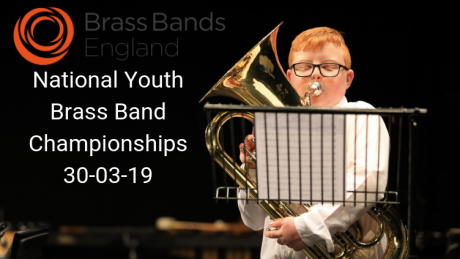 The 2019 National Youth Brass Band Championships of Great Britain will be held at Warwick Hall and Bridge House Theatre of Warwick School on Saturday 30 March. Full details for competing bands can be found at bbe.org.uk, including links to the information pack, rules and entry form. Bands should register and pay their entry fee on the website to secure a place in the competition. All applications will be dealt strictly on a ‘first come, first served’ basis. Please note that, due to limitations on the number of bands we can accommodate, some applications may be unsuccessful. In this instance, bands will be placed on a reserve list. For this reason, we encourage bands to get their application in quickly to avoid disappointment as we expect a high turnout at next year’s event. Next year’s contest will be the first to incorporate the changes implemented during the consultation process carried out earlier this year by the event’s organiser, Brass Bands England (BBE). As a result of theses changes, bands are advised to take note of some very important details, including to child licensing regulations that will affect every participating group.